WHEATON, Ill. -- A west suburban woman is $7 million richer after hitting the jackpot in a July lottery drawing. 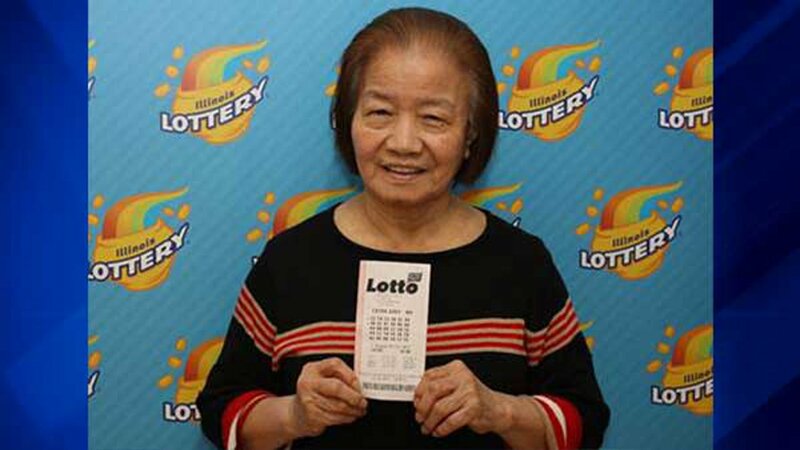 Marcelina Lacson of Wheaton won the $7.25 million prize when her Lotto ticket matched all six numbers-02-06-08-10-12-15-in the Monday, July 31, drawing, according to the Illinois Lottery. "I have been surprisingly calm about winning this prize," Lacson said. "When the Chicago Cubs won the World Series, I was jumping and screaming, but when I found out I won the lottery, I was very quiet." DuPage Pantry Plus at 238 N. Gables Blvd. will receive a bonus of $72,500, or 1 percent of the prize amount, for selling the winning ticket.